Cabarrus County shall not be held liable for any errors in the data represented on this record. This includes errors of omission, commission, concerning the content of the data, and relative positional accuracy of the data. The data cannot be construed to be a legal document . Primary sources from which this data was compiled must be consulted for verification of information represented on this map document. The records on this site are unofficial records made available for informational purposes only. While every effort has been made to ensure the accuracy of this information, the Register Of Deeds does not certify the authenticity or the completeness of any record or of the information presented. Any person using this website assumes the risk of any omissions or inaccuracies contained herein. 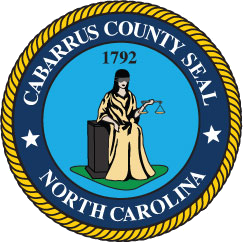 Cabarrus County, the Register Of Deeds, and any officers, contractors, agents, and/or employees of the Register Of Deeds and/or Cabarrus County shall not be liable or otherwise legally responsible for any actions taken or omissions made as a consequence of any user's reliance upon information contained in or omitted from this website in any manner whatsoever. Further, Cabarrus County, the Register Of Deeds, and all other parties associated with this website expressly disclaim all warranties with regard to the accuracy of the information on this website. Use of this site is an acknowledgement of the disclaimer. The official records of the Cabarrus County Register Of Deeds are located at the Cabarrus County Register Of Deeds office. Please give a brief description of your issue/error. This information will be added to the generated KBOX ticket.